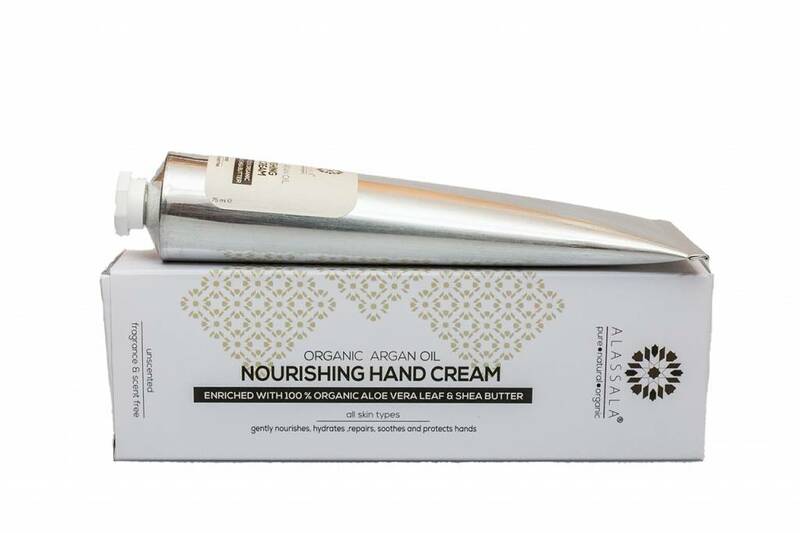 Alassala organic hand cream is enriched with 100% natural leaf of Aloe Vera and Sheabutter. 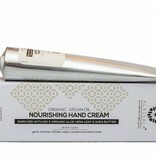 This super fine light scented organic hand cream is perfect for daily use. The cream provides the most important antioxidants and fatty acids, which your hands, fingernails and nail skin becoming. The nourishing hand cream of Alassala has a moisturizing, healing and nourishing effect on your hands. organic Sheabutter: has by her concentrated natural vitamins and fatty acids a nourishing and moisturizing effect on your skin. Alassalla nourishing hand cream is suitable for everyday use. You have enough to form a pea hand cream for your hands. NOTE: for external use only. Avoid contact with eyes. Keep out of reach of children. Tip: you can also use your elbows, knees and feet!